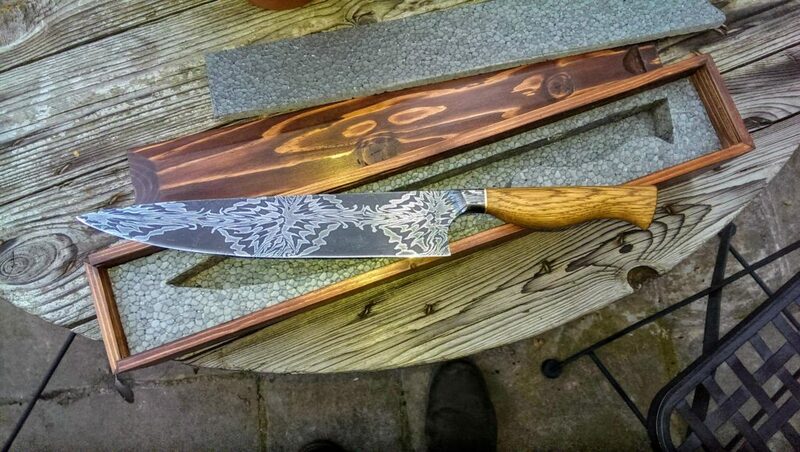 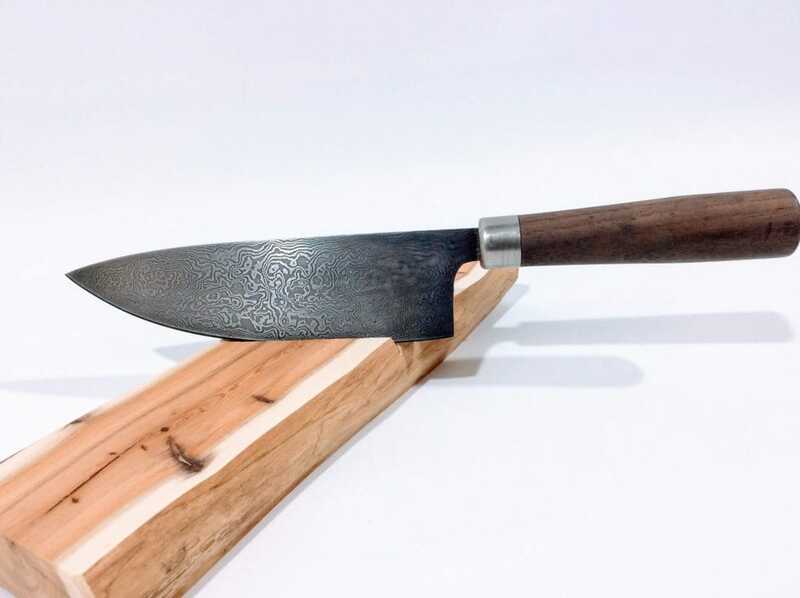 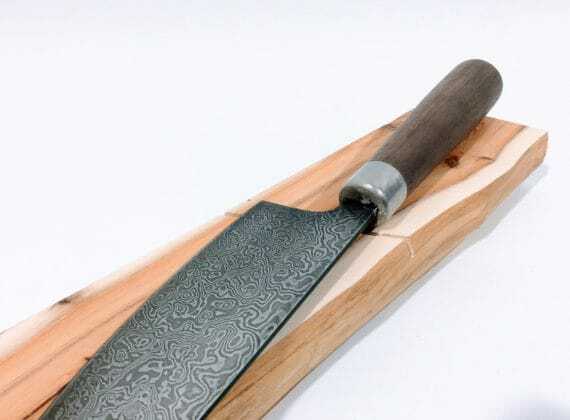 144-layer 'random' pattern Damascus steel chef's knife. 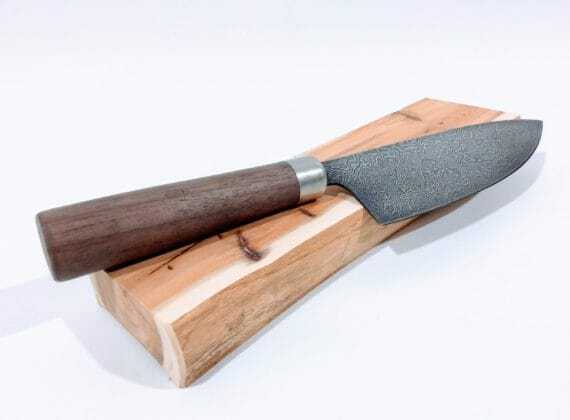 Hidden tang construction with a pewter ferrule; handle made from an old handrail (unsure of timber type). 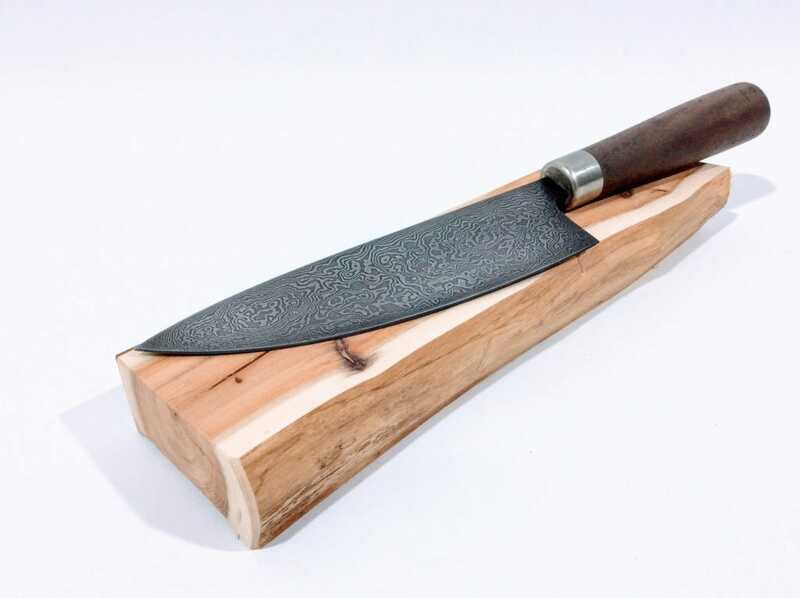 Balances approximately 10mm in front of heel of blade.